Just consider, for a moment, how many manufactured items are within 10 feet of where you are currently sitting. You might see your computer, mouse, light switch, electrical plug-in, your desk, the lamp, ceiling light, your watch, and so on. All of these products are the direct result of a highly skilled injection mold maker, tool and die maker or from precision machining. These professions are, more or less, invisible to most people and not really appreciated. If your were to split one of your hairs, it would be about .002 inch/.05 mm in diameter. For somebody in a CNC machine shop, this is hardly precise! Precision metal stamping demands that you split this hair again, then again! Injection mold makers work to this kind of tolerance every single day. It is not at all uncommon to surface grind a mold component to within .0002 in./.005 mm tolerance. It is the same for tool and die makers and aerospace precision machining. 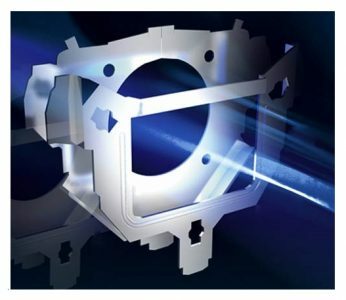 Precision medical machining, micro precision machining, and metal forming die making all require such close tolerance work. Yet the general public is almost totally unaware of what it takes to achieve this level of precision. About the only time a layman notices is when there is a flaw or poorly made product. This is understandable, and is basically the same in any given profession. 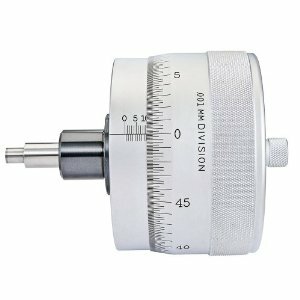 You can learn the proper way to use many of these precision measuring tools on the various pages here. Often workers are more or less left on their own, or expected to already know how to use these tools. Even among people with years of experience, there can persist incorrect techniques and bad habits. More than one production batch has been rejected as a result of poor practice. Many engineering changes have been done as a result of incorrect procedures in the use of the coordinate measuring machine. This is extremely costly, and could easily be avoided, with better training. 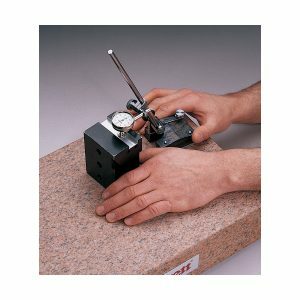 Another common problem is the wrong use of gauge blocks by workers. Without an understanding of how to properly wring together the blocks, it is quite easy to base many subsequent machining operations on faulty information. Two people should be able to use the same equipment, such as a precision micrometer or dial indicator, and arrive at identical results. If not, there is either a problem with the tool, or the manner in which it is used. With some simple training or calibration, this can be avoided. As you can see, there are quite a few prominent machine tools in use that work within these tiny dimensional tolerances. There are many more high quality companies that manufacture high end machine tools. These are the machines that make the tooling to keep our modern society humming along.